Mining magnate Joseph Gutnick, one of Australia’s most senior Chabad-Lubavitch rabbis, has been ordered to repay $1 million after a judge found him guilty of engaging in “misleading and deceptive conduct” in a business deal with a fellow Lubavitcher in Melbourne according to a report in Israeli paper “Haaretz”. The report stated: In the Supreme Court of Victoria last week, Justice Ross Robson found in favor of Roy Raphael Tashi, who was convinced by Gutnick in 2010 to buy $1 million worth of shares in Northern Capital Resources Corporation, a Canadian gold mining company he owned. Tashi said he didn’t question the deal because he knew Gutnick was a “very generous person” who was respected in the community. “I would not have bought the shares if I knew that I was buying at market price, at no bargain,” Tashi said. He asked Gutnick to buy the shares back, but was refused. Justice Robson ordered the share sale agreement be declared void and Gutnick to repay Tashi $1 million with interest. Tashi told Haaretz this week he was “obviously delighted with the result” but unhappy that his letters to the late Rebbe had been published. 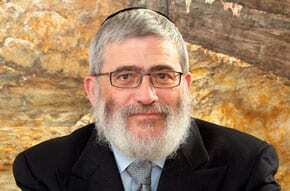 Gutnick was appointed by the late Lubavitcher Rebbe as special emissary to the integrity of the Land of Israel. He is one of three chief Chabad rabbis in Melbourne sanctioned by Chabad headquarters at 770 Eastern Parkway, Brooklyn. A father of 11 children, he was also known as “Demon Joe” after he was elected president in 1996 of the Melbourne Football Club, an Aussie Rules football team. But he was controversially ousted in 2002. Israel and Indonesia have no formal diplomatic relations although there are trade and security ties. Tashi said he joined the Chabad movement about 25 years ago and is a director of the Chabad House of Malvern in Melbourne, to which Gutnick previously donated $250,000 for a preschool. Justice Robson said he would hear the parties’ case for interest and costs.